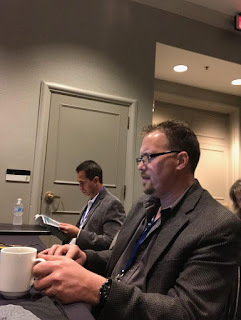 Conferences offer opportunities to connect with faculty in your field, industry stature, stay on top of industry changes, share research and travel.Occasionally, I attend these conferences and hope to do so more in the future. The knowledge I learn is invaluable and contributes to university health. Connect with Faculty: Engage and connect with faculty that have similar research and business interests. Industry Stature: As you connect with other faculty members you also lean about new opportunities, activities, and practices. Industry Changes: Industries always change so staying on top of them is important. This is even more important if you are in administration. Travel: Travel is key bonus of conferences so you get to explore new areas.